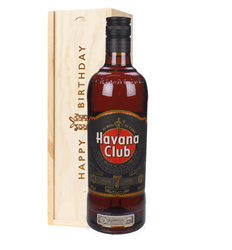 Havana Club rums are traditional Cuban rums aged naturally to create intense aroma and complex flavours. 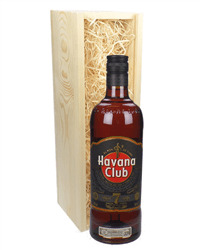 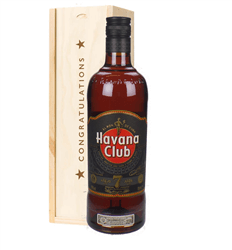 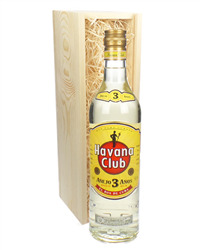 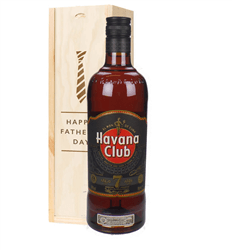 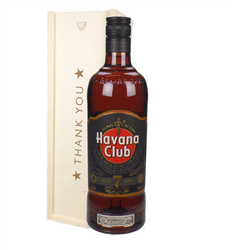 Our range of Havana Club rum gifts are available with Havana Club 7 dark rum great to drink with your own twist or Havana Club 3 white rum perfect for Moijito and Daiquiri cocktails. 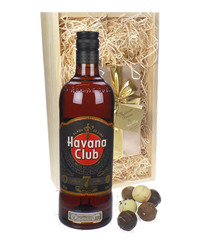 Choose to send them on their own or with a choice of chocolates, gourmet food and even an adorable teddy bear. 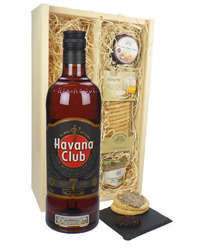 Whatever you choose we will deliver your gift in one of our beautiful presentation boxes with your special message.